You’re a happy and proud owner of an iPhone XS Max but you want to keep it safe and secure. We’ve looked at the best iPhone XS Max cases for protecting your very pretty and very expensive new phone. We all have different things in mind when seeking out a phone case. Some of us just want a solid all-rounder, while others may want to focus on a slimline fit or style. A kickstand might be valuable, or the fact that the case is near indestructible. 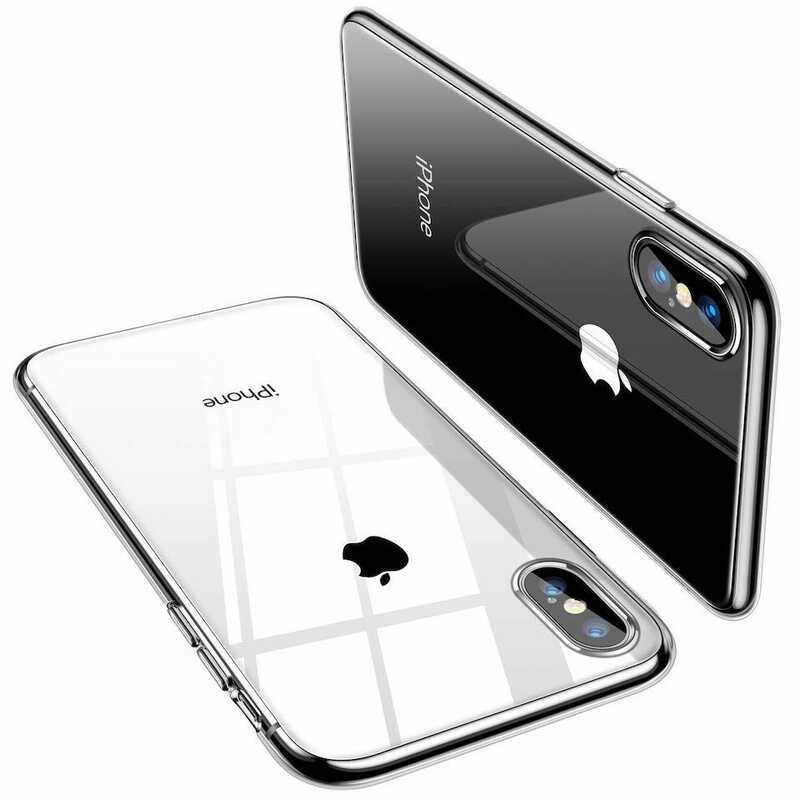 Regardless of your reasons for a case, we have a perfect iPhone XS Max case for you. In every scenario, your phone will be kept snug and secure. After all, it wasn’t cheap to buy, right? Oftentimes, you want a case that simply works well for a variety of different situations, without looking too intrusive. The TORRAS Crystal Clear iPhone Xs Max Case is that case. It fits your iPhone XS Max like a glove, so there’s no need to worry about additional bulk. It’s a crystal clear case so you can still see how stylish your original iPhone XS Max is, but it’s also protected from day to day scratches and bumps. Flexible TPU ensures you’re safe from such knocks, with raised bezel edges that protect your screen and camera from any damage. It’s a fine all-rounder for general use. A slim fit is a key feature for many users. After all, your iPhone XS Max looks super stylish and far from bulky. Why do you want to ruin that with a case? The Spigen Thin Fit ensures you don’t have to contend with extra bulk, while still providing you with the benefits of using a case. It offers everyday scratch defense with a rigid exterior and easy to grip coating. It’s intelligently designed too so the cutouts for your camera, ports, and volume controls are all precisely measured. There’s reserved space for metal plates in case you use a magnetic car mount too. Looks great and feels great makes this a winner. The Spigen Rugged Armor isn’t the only rugged case here, but it is the only one that maintains a neat balance between being hard wearing while still looking pretty good. The case has a slimline fit that means you can grip it easily, as well as still slot it in your pocket with minimal issues. Air Cushion technology ensures it provides rock solid protection in case you drop it. There are precise cutouts too for getting to the key physical features of the phone. It’s ideal if you’re clumsy every once in a while, but still want to maintain the general look of the iPhone XS Max. 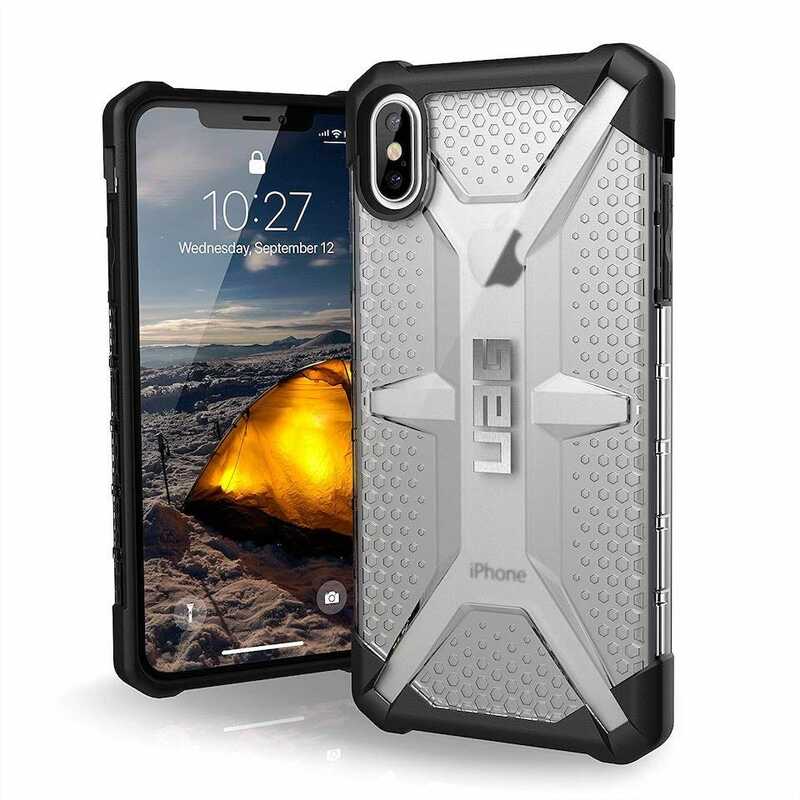 Ok, so the Urban Armour Gear UAG iPhone XS Max Case isn’t the most stylish case out there but wow, is it tough. 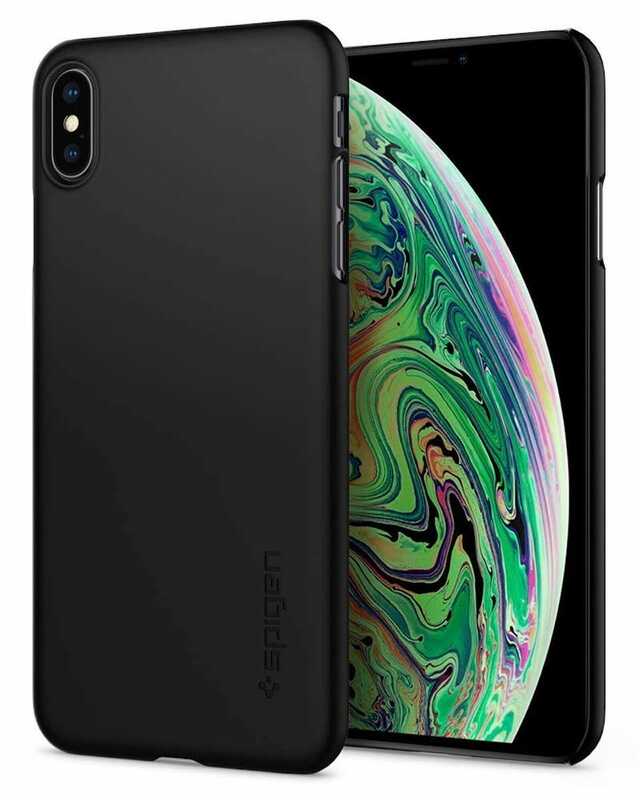 The case has military grade drop protection with a soft raised rubber screen lip and rear skid pads that mean all-round protection for your iPhone. It’s surprisingly light despite this with a hard outer shell and soft impact resistant core. The only real issue here is that it’s pretty bulky and doesn’t offer the barely there (and practically invisible) protection other cases offer. So, it’s best for those that have physical jobs or hobbies and that are worried about damaging their iPhone. For daily use, it’s probably a bit over the top. 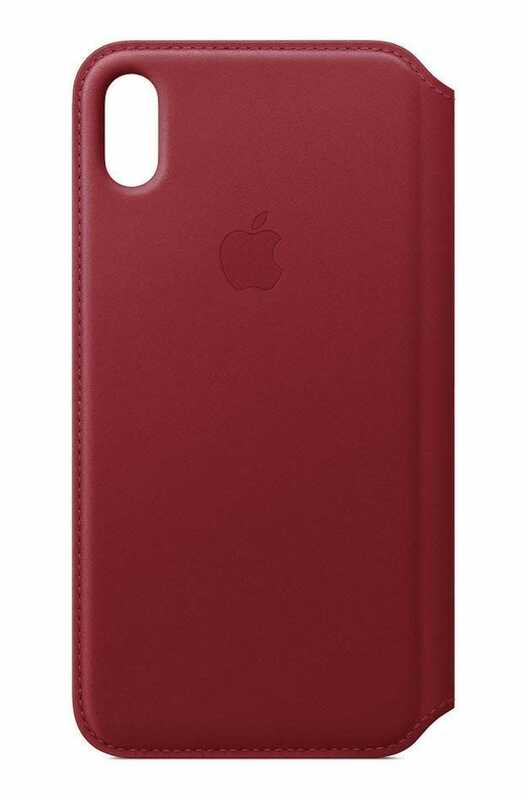 It makes a lot of sense that Apple would make the most stylish case out there. The Apple Folio Case certainly looks pretty great. The moment you open it, your iPhone XS Max wakes up, just like a Smart Cover for an iPad does. Inside, there’s a soft microfiber lining which keeps your iPhone safe and snug no matter what you’re doing. There’s room too for bills, notes, or cards, which is always useful. We don’t fancy its chances during a large drop, but for average protection with a hefty dose of style, this matches the bill. Sometimes, it’s useful to have a kickstand available to you. Especially if you want to do any mini presentations while out and about, or if you simply want to watch Netflix easily. 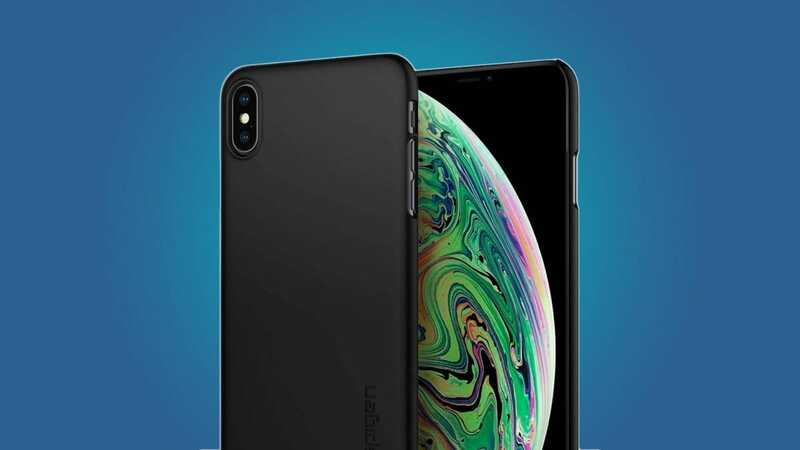 The i-Blason iPhone XS Max Case is sturdy with a flexible shock-absorbing TPU core, but it’s the kickstand that’s why we love it. The kickstand also doubles as a detachable belt clip holster which is sure to be useful at certain points. 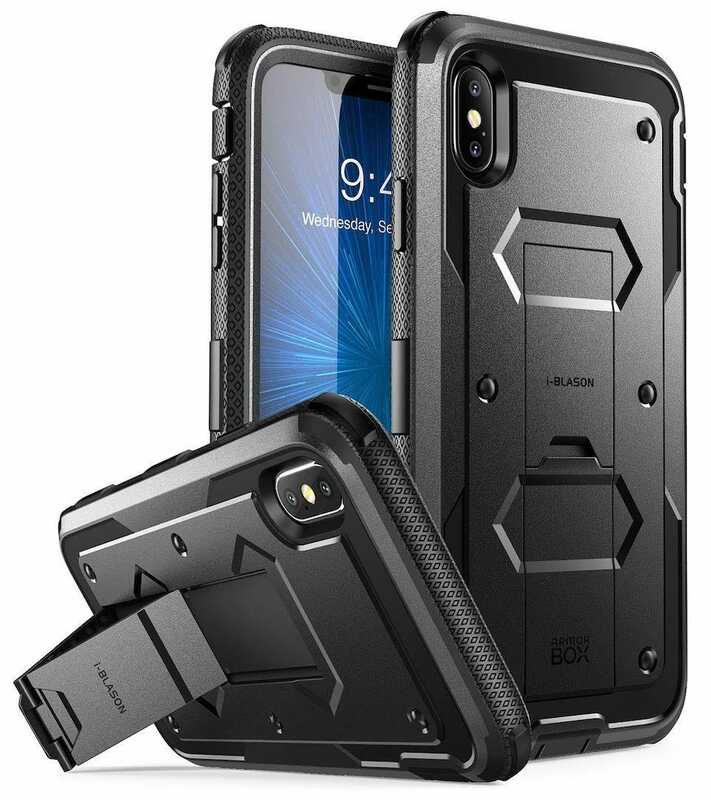 Just expect this case to be quite bulky even if you detach the holster. It’s quite chunky compared to other rugged cases.